Skyrim's Dawnguard downloadable content is out on Steam right now, Bethesda's Pete Hines announced at QuakeCon today. You can buy it for $19.99. We are not satisfied yet with Dawnguard's performance on the PS3. 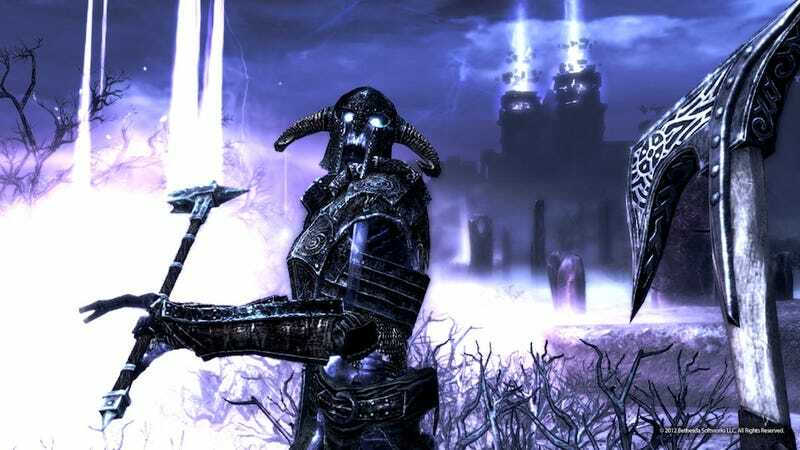 We would like for everyone to have a chance to play Dawnguard, but we aren't going to release it for PS3 knowing that some people's experience in Skyrim will be worse. We do everything we can to have our content available to all; from our free updates, to user mods, to paid DLC. We're as disappointed as our fans when that isn't the case, but we'll continue to push for that reality. Bethesda first released Dawnguard in June for the Xbox 360. We didn't love it. I had very high expectations for Skyrim: Dawnguard.